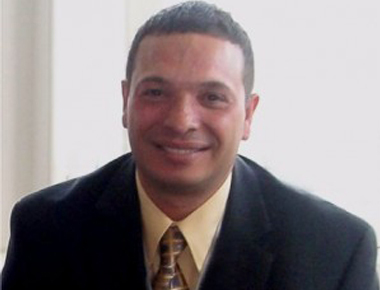 Julio Somarriba, president of Wisetouch Interiors, has crafted twenty years in the aviation industry. He has served the industry in diverse capacities, having supported companies such as Aircraft Modular Products, B/E Aerospace and Decrane Aircraft to name a few. He is dedicated, self-motivated and possesses customer oriented professionalism. He treats each client as a partner, forging long-term relationships. His excitement and knowledge are apparent in the details of each project he undertakes. Julio’s Technical Background gives him a keen understanding of "Fit, Form and Function". He has integrated craftsmanship and comfort with technology; his fingers on the pulse of current engineering designs and designations. His peers know him as a leader and industry specialist of aircraft interiors who stands out as a trouble shooter and a deadline maker. His dedication to the aviation industry can be seen in every detailed product Julio produces and services he performs. His training and qualifications extend from the Leather Institute to Technical Support certifications for several aviation groups and carriers. His personality and knowledge has lent him the ear and respect of some of the foremost leading people in aviation. That same personality has a heart for his community and his industry. Hanging on his wall, amidst the certifications and recognitions, is a glass framed hammer: "Youth Brought to a Higher Plane," Burlington Irving; the youngest person to fly solo around the world. ‘Experience Aviation’ inspires young people to identify and pursue their dreams through dynamic aviation education programs, designed to build math, science, reading, and problem-solving skills. Julio has crafted a unique organization based on quality and out-of-the-box technology. His dedication to excellence is visible to his clients and his client’s clients. Next time you admire the interior and comfort of a business jet, ask yourself… "Was this a Wisetouch?"